Jesus’ words here reveal two things: 1) He will build His church despite opposition. 2) There will be opposition to the growing of His church. The end of this month marks the one year anniversary of Quincy Bay Church and over the last year of public ministry we have witnessed the reality of both of the above statements. The Lord builds His church: The Lord has taken our small three-family house church and grown it to over 30 souls this past Easter weekend. We have moved from one Bible study in our living room to numerous ministries ranging from a mid-week Bible study, youth group, women’s study, street evangelism, biblical counseling training, Sunday worship service, and Sunday school. We have also seen opposition: Spiritual darkness, antagonism, logistical roadblocks, discouragement, and lack of enough laborers for the vast harvest field here in the Northeast. However, the most rapidly growing opposition comes in the form of our financial support. Having served as missionaries for over 9 years now we understand that funds go up and down from month to month. But recently our support has gone down over $2,000/month. That’s a drastic drop. And we would ask you to pray with us for this provision. But despite these difficulties the way ahead is clear: Faithfulness to the Lord and the work He has called us to. The presence of the enemy’s opposition is evidence that the Lord’s work is being done. We take courage in our trials knowing that we labor for His glory. We take joy in our circumstances knowing He provides; He always has. “So we want to share some pics of the Lord’s recent work among us and we pray you are also encouraged to see the Lord’s faithfulness to do what He said He would do: build His church! 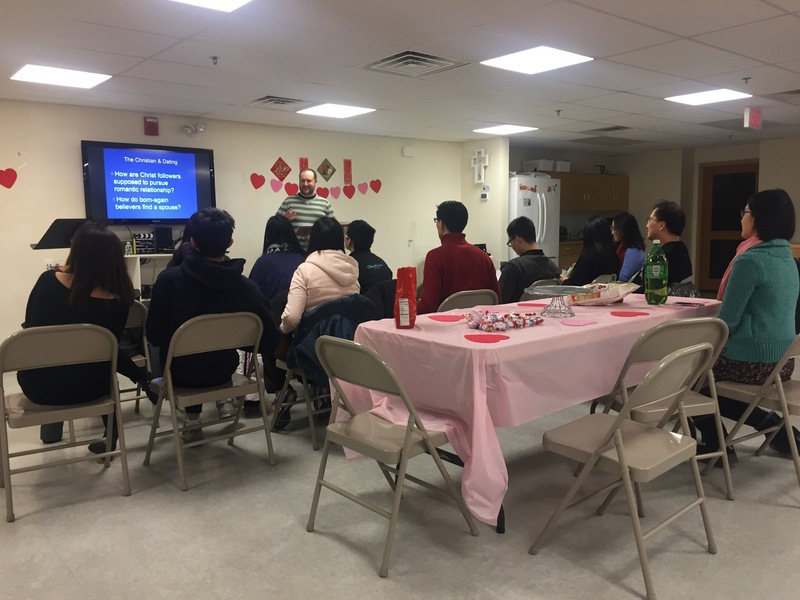 We shared in September’s post that Alan had been asked to preach at the English-speaking congregation at the Chinese Baptist Church of Greater Boston (CBC). 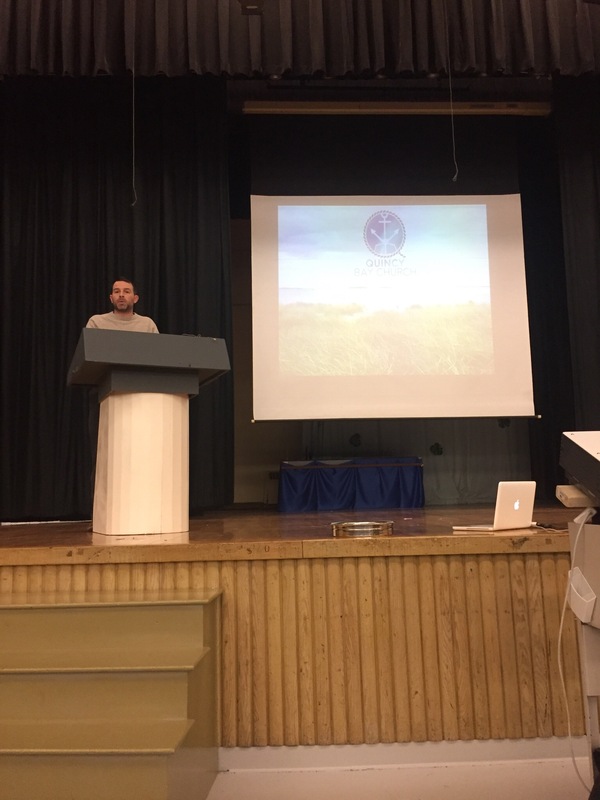 Well, as the Lord would have it, that role has grown and Alan has now taken over Pastoral oversight of this ministry. For now, we lead the English service at CBC on Sunday mornings and have Quincy Bay Church’s (QBC) service on Sunday afternoons. 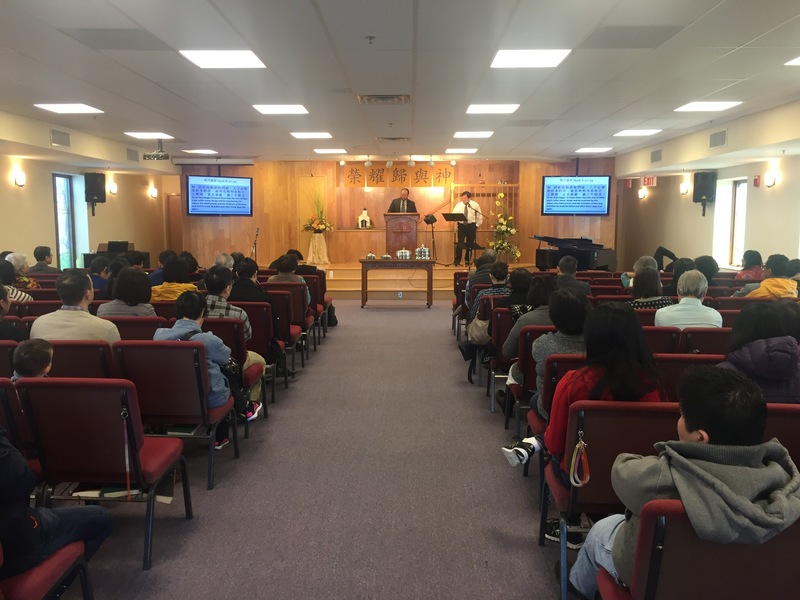 Via the providence of God, and in coordination with this Chinese sister church, the wheels are already in motion to merge these separate services so that QBC will officially inherit the English-speaking congregation to form one fellowship. Here is Alan preaching on “The Christian & Dating” to the college and career group around Valentine’s Day. Pastor Matt preaching Colossians at Quincy Bay Church (QBC). He is a tremendous blessing and a gifted teacher. Alan preaching to the joint service at The Chinese Baptist Church of Greater Boston (CBC) with a Cantonese translator. Alan was asked to preach on Good Friday at a special service organized by 7 local churches. 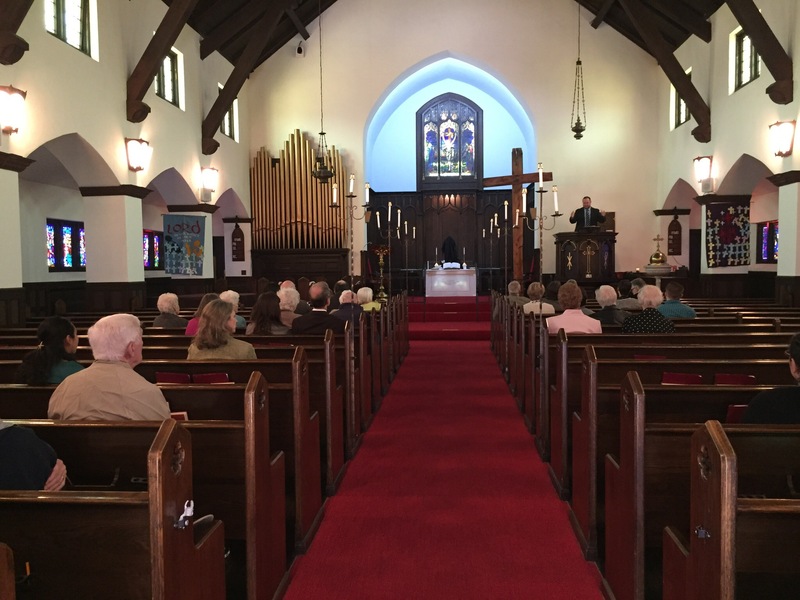 The service was held in the historic Union Congregational Church of Quincy. Here is a pic from our Easter service. This was our very first Easter service as a church and it blessed us to celebrate this milestone with a special service dedicated to the Resurrection of the Lord Jesus Christ. 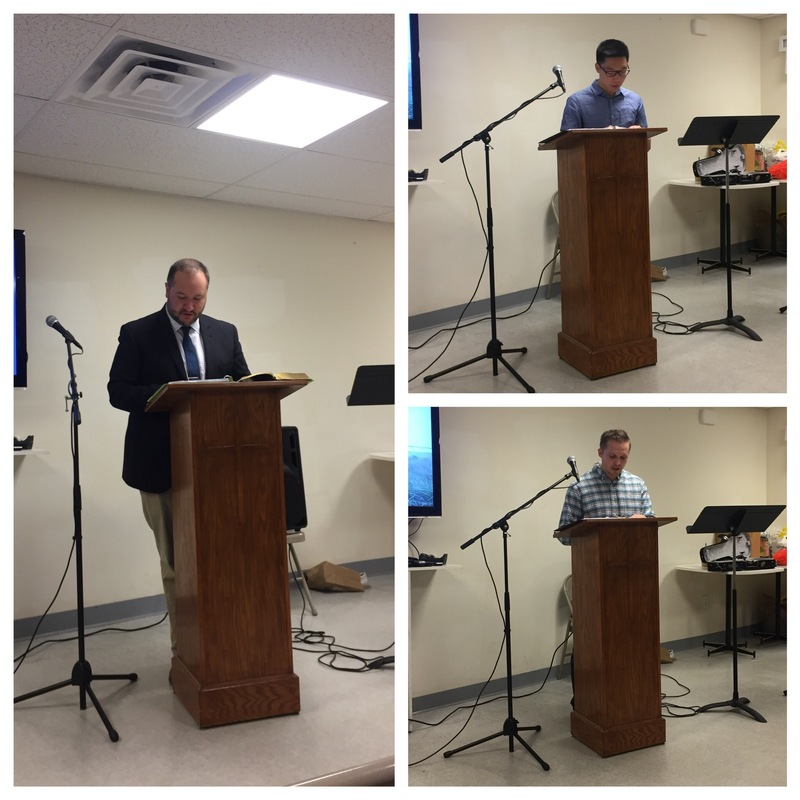 Wilson (top) and Kevin (bottom) led the public reading of scripture and Alan brought Sunday’s message. The Lord continues to open doors for the Word and we are thankful to serve as He leads. God is good! Thank you all for your prayers and financial support. 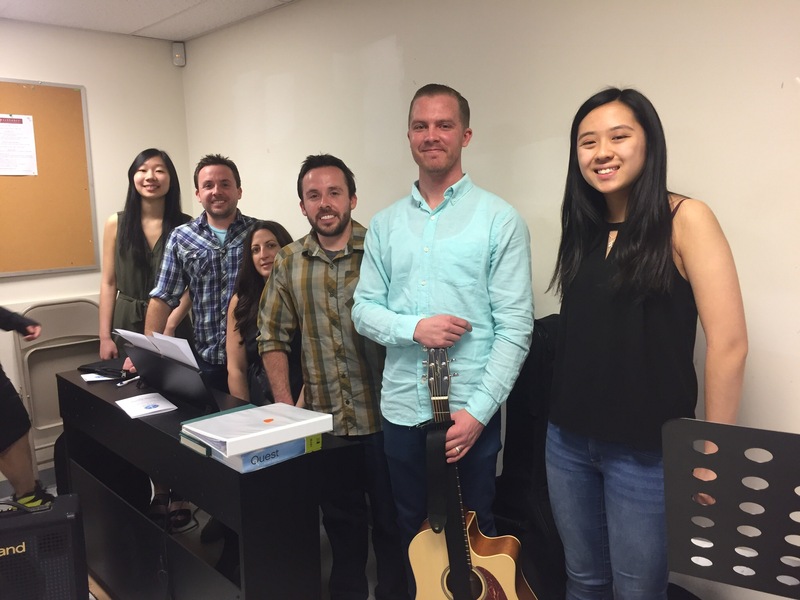 Your faithfulness to sponsor us and your enthusiasm for this ministry encourages us greatly. You genuinely make it possible for us to serve as we do and we are so thankful. If you know of someone who does not yet support the work here in Boston please share with them about what the Lord is doing and ask them if they might partner with us. You can also get in touch with us directly by emailing BerthiaumeAlan@gmail.com. Alan those of us at Palmdale Community Church will be praying for you and Gods work through you folks at Boston.